Please enjoy an evening with acclaimed photographer and journalist Robert Rehak, who documented the Uptown neighborhood and its residents in the mid-1970s and inspired an ongoing photography project at Latin School and Goudy School this spring. 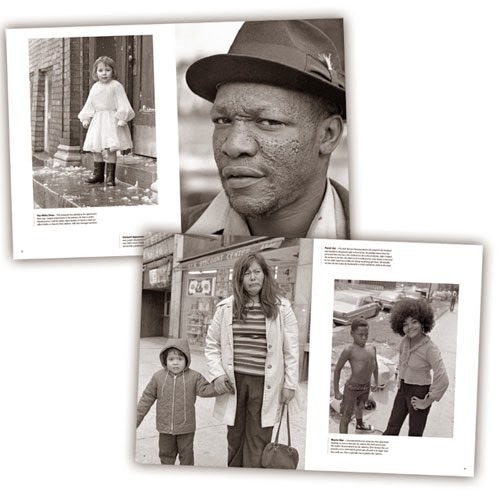 Monday, May 9 - 5:30 p.m.
Rehak took more than 5,000 photos of people living in Uptown in the mid-1970s and shared their stories in the book Uptown: Portrait of a Chicago Neighborhood. His candid, documentary-style images show what life was like in one of Chicago's most diverse and densely populated communities 40 years ago. This March, after studying Mr. Rehak's work, a group of Latin School students teamed up with students from Goudy School and spent a week photographing and interviewing residents of the neighborhood. Their images and stories can be viewed at www.weareuptown.org. Mr. Rehak will work with students during a visit to the school earlier in the day on May 9 to review the best of the We Are Uptown images and select 32 that will be on display at Chicago City Hall beginning June 3. Uptown Update has posted many times about Mr. Rehak and his wonderful portraits from an era in Uptown that seems so distant -- and almost unimaginable -- to those who weren't here at the time. You can see previous posts about him and his work here. You can view his Uptown photos on his website.